Available via dine-in, take-out, and drive-thru! 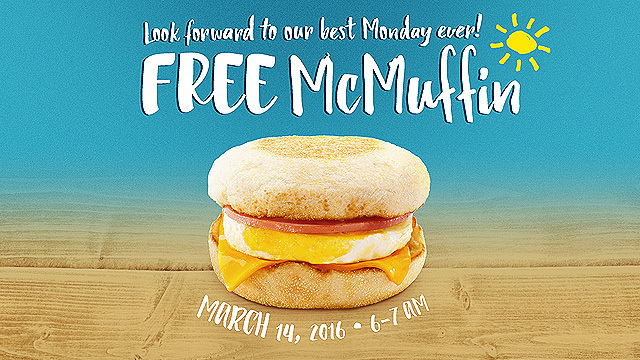 On March 14, Monday, McDonald’s will be give away free McMuffins in celebration of the fourth annual National Breakfast Day. All you have to do is be at any of the 400 participating branches between 6 a.m. to 7 a.m. to receive a coupon which can be used to redeem your free McMuffin. Check out the participating branches and other mechanics regarding this promo by clicking here!